Make a Difference in World of Warcraft! 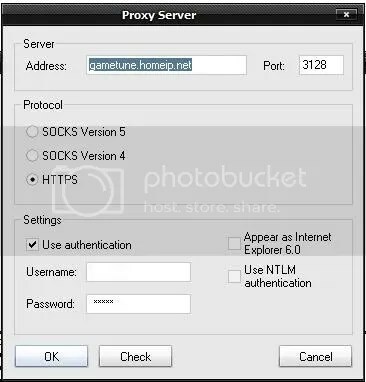 1)Launch Proxifier and open the proxy settings. That’s it! Next time you want to play wow just launch the WoW app, make sure Proxifier is running and then start WOW. In Windows Vista If Proxifier loads WoW with no ping change. You will need to go to your Proxifier install directory (e.g. C:\Program Files\Proxifier.) Right Click on your proxifier.exe. Then click PROPERTIES then under the COMPATIBILITY tab at the bottom, TICK “Run this Program as an Administrator” then click APPLY. Go to Start Menu/Programs/Proxifier and start the “Network Configurator”. Once you’ve gone through the wizard, Proxifier should work. 1)* Launch Proxycap. It will open in your task bar tray area. * click the “Browse…” button and find your wow.exe, this will be where your WoW is installed. That’s it! Next time you want to play wow just launch Proxycap and then start WOW. In Windows Vista If Proxycap loads WoW with no ping change. You will need to go to your Proxycap install directory (e.g. C:\Program Files\ProxyLabs\ProxyCap.) Right Click on your ProxyCap.exe. Then click PROPERTIES then under the COMPATIBILITY tab at the bottom, TICK “Run this Program as an Administrator” then click APPLY. After that reopen Proxycap as normal and reconnect. 1)Launch Freecap and open File/Settings. 7) That’s it! Launch Freecap and double click the game icon IN your Freecap window. You will need to go to your Freecap install directory (e.g. C:\Program Files\Freecap.) Right Click on your freecap.exe. Then click PROPERTIES then under the COMPATIBILITY tab at the bottom, TICK “Run this Program as an Administrator” then click APPLY. After that run Freecap as normal and reconnect. If you are from Malaysia and play World of Warcraft on the US/EU/Taiwan servers this is THE service for you! We are Malaysian players who got tired of playing with a ping of 700-1000! After 3 months of testing, Fine-tuning and optimizing, GameTune is BORN!!. We would like to thank trial users especially from forum.lowyat.net that assisted us and provided valuable informantion in the past couple months. Your gameplay will change forever afte you used GameTune server!! Your dps will get higher, you can hold aggro more with higher TPS, Your can heal better to keep your tank alive long enough to achieve a BOSS KILL!! We know that you must be finding all this pretty hard to believe Therefore, GameTune offer 3 days trial with no schedule disconnect, no obligation, no form to fill. Just email us: gametune@gmail.com for a trial now!! Make sure you read the setup instructions for quick and easy server access as well as the Frequently Asked Questions for any questions/concerns you might have.